Paige Davis has just gotten promoted to President of Sales at her job. After a night of partying, Paige and her girlfriends hilariously wakes up to a dead boss. 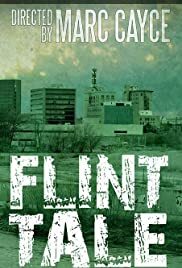 Flint Tale is a story about disgraced former Police Chief Daniel Hartwell of Flint, MI, his cheating wife, Poppy Hartwell, and his two adult daughters, Destiny and Chasity Hartwell. Chief Hartwell was one of the whistleblowers in the Flint water crisis where the drinking water was contaminated with lead, which created a serious public health danger to the residents of Flint. Because of his whistleblowing, he pissed some powerful people off, and was eventually framed for stealing federal money allocated to the police department and was fired from his job. Chief Hartwell ends up getting convicted of the charges and serves 3 years in jail.